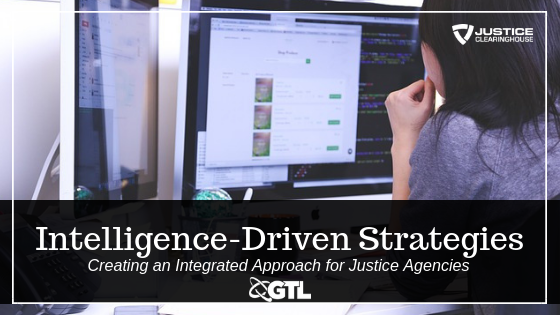 In this webinar, justice practitioners will gain a better understanding of how security is enhanced and crime reduced through intelligence-driven-strategies. Whether a narcotics detective, gang intelligence officer, jail administrator, or patrol deputy, attendees will learn some of the modern-day practical applications that harness the power from knowledge produced by the convergence of the latest intelligence methodologies and technologies. What are the real-world applications of technology in generating actionable intelligence in correctional and law enforcement environments? How can facilities or departments of any size or level of expertise leverage technology to manage the intelligence cycle and stay ahead of the latest trends? NOTE: This webinar has been sponsored by GTL and the NSA. Webinar registration information will be shared with these partners. GTL leads the fields of correctional technology, education, and intelligence, as well as government payment services, with visionary solutions that integrate seamlessly to deliver security, financial value, and operational efficiencies while aiding inmate rehabilitation. As a trusted industry leader, GTL provides services to over 2 million inmates in more than 2,500 correctional facilities in the United States and Canada, including more than 30 U.S. departments of corrections, the District of Columbia, Puerto Rico, and the U.S. Federal Bureau of Prisons. GTL is headquartered in Reston, Virginia, with an employee presence throughout North America.